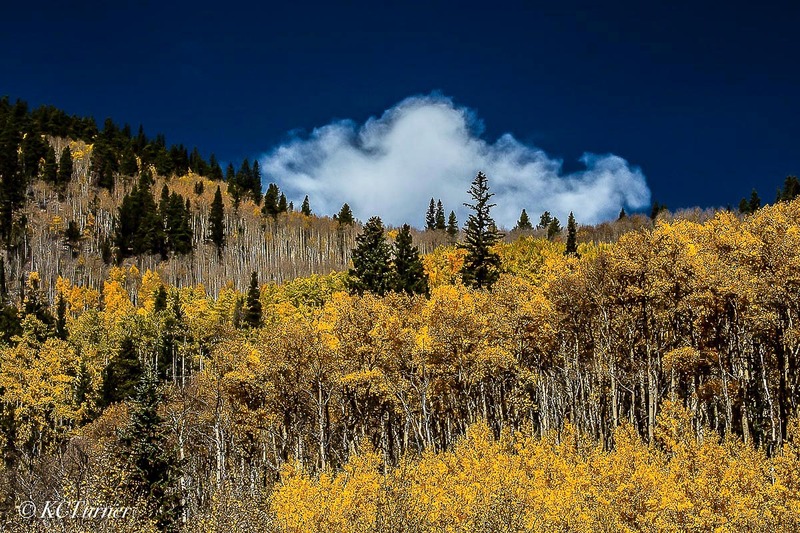 Sawmill Gulch, just above the North Fork of the South Platte River and below the west slope of Mount Evans Wilderness, offers up its fall Colorado colors in this picturesque landscape with deep blue sky and billowing white clouds. Photo © copyright by K.C. Turner.